"ResourceSpace is a great tool to have. You can keep control of quality, and it's made people's lives easier in terms of sharing content and facilitating communication." CARE International runs poverty-fighting projects and responds to humanitarian emergencies around the world. With staff and offices based in 94 developing countries, it needs systems that can cope with its highly-connected approach to sharing key information and communications, instantly. Speed and co-ordination is critical for CARE International, particularly in situations such as largescale emergency appeals. Previously, members of the organisation in different countries had their own systems for saving and storing files, which made document sharing challenging and disparate. "Before ResourceSpace, we had difficulties sharing resources globally - we relied on basic online sharing tools or requesting content directly via email, which significantly delayed the speed and quality of available digital assets, " explained Chandra Prasad, Photo Library Co-Ordinator at the CARE International Secretariat. When CARE International decided it needed a standardised and comprehensive DAM system that the whole confederation could benefit from, ResourceSpace was recommended due to our track record of working with charitable organisations. "We knew of a lot of humanitarian charities who were with ResourceSpace, so were influenced by the fact that our peers in the sector were using it successfully, and gave us great feedback," added Prasad. 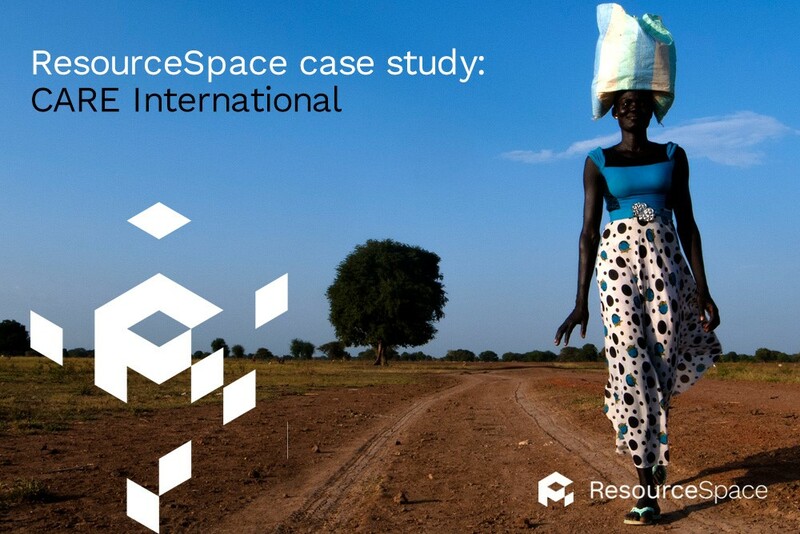 ResourceSpace has revolutionised file sharing for CARE International members - especially those out in the field. The charity's ResourceSpace platform now holds more than 21,000 images, submitted and accessed by 495 users in worldwide locations. Now CARE International can truly speak with one voice on global issues, and because ResourceSpace is built using open source software, it is also cost-effective for the not-for-profit organisation. "We can upload, share and store our best visual files across all our global channels for staff across the CARE world to instantly access - significantly improving our ability to respond in a coordinated manner, and at speed." ResourceSpace enables workers in any country across the world to save, share and store documents in a centralised hub. To see how this can enable quicker collaboration across your organisation, start your free ResourceSpace trial or to discuss your needs further, get in touch with us today.